Watch your favorite shows on your computer and stream them to your TV with Picture in Picture effects (another feature your TV does not provide). Click the image to see how you can use YTV Clone to watch a Netflix movie and PIP a soccer channel over. With YTV Clone and Google YouTube TV you can watch two or more TV shows simultaneously (a feature your TV doesn't have). 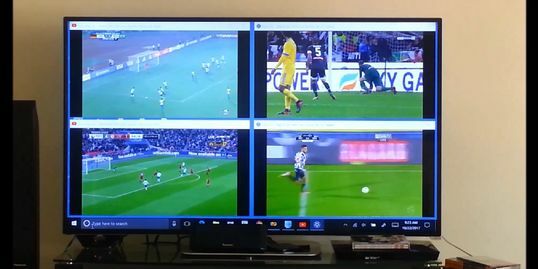 Multiple sports events, stock market reports or TV news channels can share your PC and TV screens at the same time. 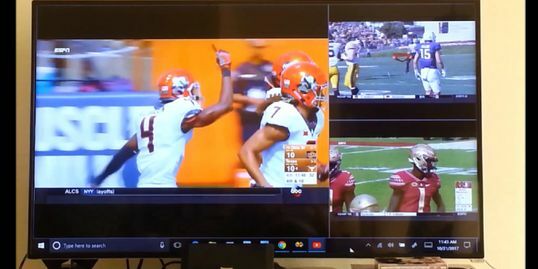 Click image to see how YTV Clone and Google YouTube TV are used to show four TV news channels on your PC and TV (in this case a HDMI cable must be used to connect PC to TV). Use your computer screen for doing your work while watching TV shows or any other videos on the PC screen. Best for cloning stock market reports, YouTube videos and other Internet shows that may be of interest to you. Click the image to see how to clone and PIP a TV episode over your browser window using YTV Clone software. YTV Clone is designed to work primarily with Google YouTube TV streaming app but other Internet TV streaming app will work the same. 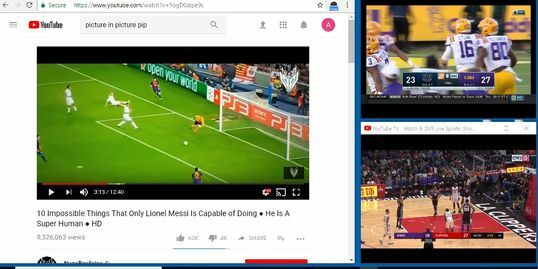 Google YouTube TV has the advantage that it can play multiple TV channels simultaneously. TV streaming apps usually require subscription and they’re not available everywhere, but you can use YTV Clone to clone any video played in the Chrome browser. 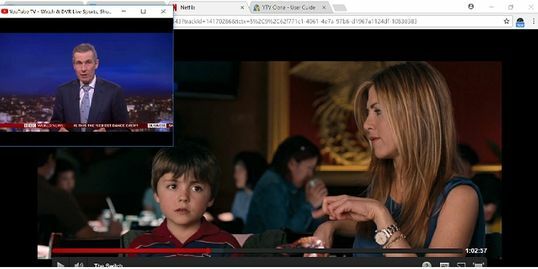 Netflix, Amazon, ABC, BBC, KBPS, History, Science and many more video providers can be cloned and displayed as Picture in Picture. All you need to do is open a web page, copy/paste the page URL from browser address bar then click Open show. This makes a PIP (miniature) browser which duplicates the web page video show and sits on top of all opened windows. You can also save the page URL for future play. Click the image to open the user guide. YTV Clone current version (1.0) is compatible with all Windows versions but can only use Google Chrome browser. Quality guarantied: Our goal is to provide a high-quality product that aligns with your needs. We guarantee you will be satisfied with our work. 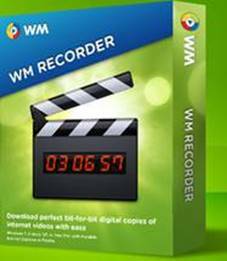 WM Recorder 14 is the easiest, most powerful way to download and convert millions of video and audio files from the internet. Just open WM Recorder, play your video or audio and it's recorded automatically. Great for capturing movies, webinars, music videos, cams, video chat sessions and much more in high quality. 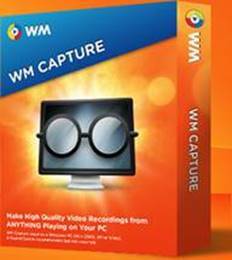 WM Capture 6.1 is the only screen capture software that allows you to screen capture video from windows that are hidden. Once you enable "Background Mode" and select the video window to record, your video can be hidden leaving your desktop free for you to use with other programs. 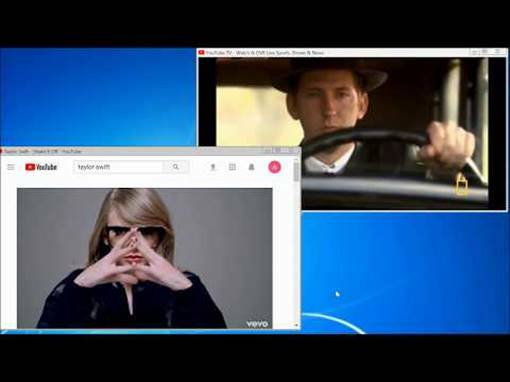 VideoClone adds PIP (Picture-in-picture) to your PC. 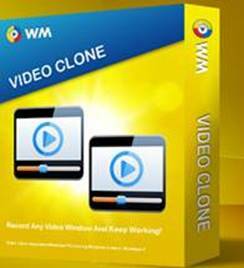 While you watch any web video, VideoClone duplicates it in any size, anywhere on your screen, on top of all your applications. 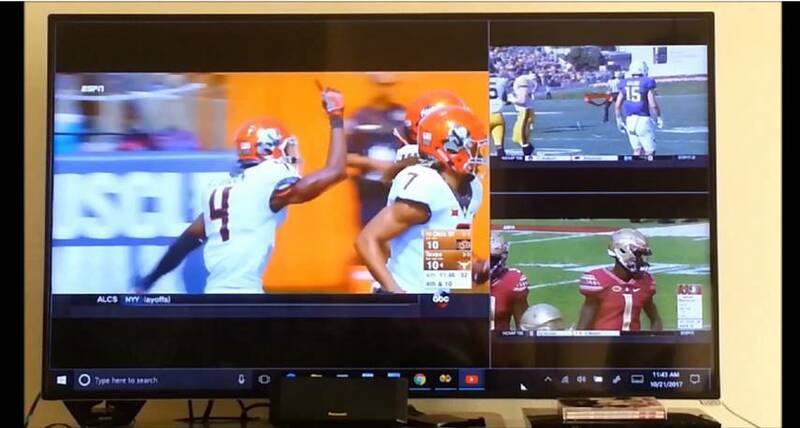 It's a great way to keep an eye on sports, live streaming news, or other events while you work. You can even move, grow or shrink the video screen at any time while video is playing. When you order, instantly upgrade to VideoClone Plus to enable video recording from your screen while you work in other applications. Go ahead and move windows around, you won't interfere with the screen recording. Really cool! © Copyright 2001-2018 AllAlex Inc. All Rights Reserved.